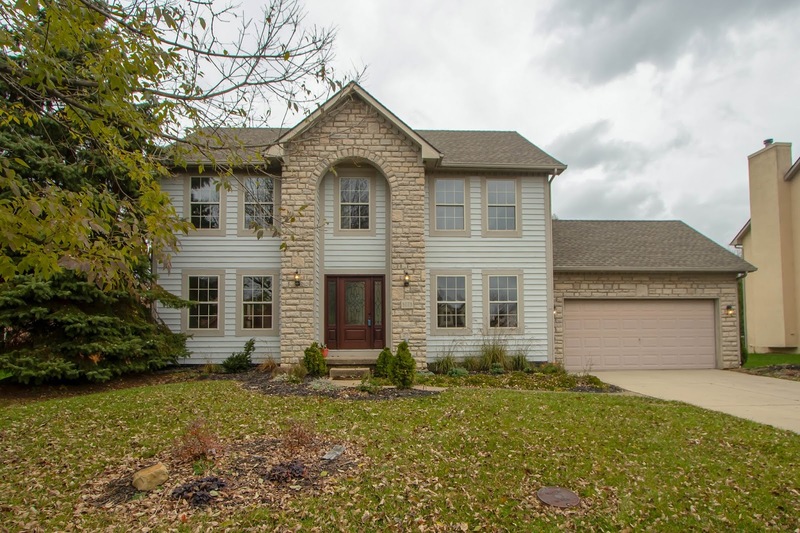 Two-Story home on nearly 1/3 acre, cul-de-sac lot. Nearly 2,800 SF on 3 finished levels! Many recent updates include furnace, A/C, water heater, interior paint, carpet in Lower Level and more. Ceramic Foyer. Spacious Family Room with fireplace opens to the fully applianced island Kitchen with newer appliances, oak cabinets and granite countertops. Dinette walks out to rear deck. First Floor Laundry. Owner's Suite has walk-in closet and private Bath with garden tub. Finished Lower Level has 2 Recreation Areas and Den/Office Area. Perfect location, close to everything! 4 BRs & 2.5 Baths. Westerville schools. Only $309,900!